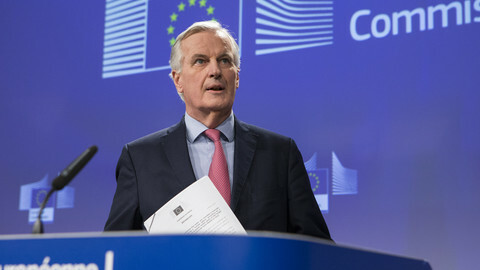 The UK is seeking a flexible transition period after Britain is set to leave the EU on 29 March 2019, according to a British government position paper sent to the 27 other member states and leaked on Wednesday (21 February). 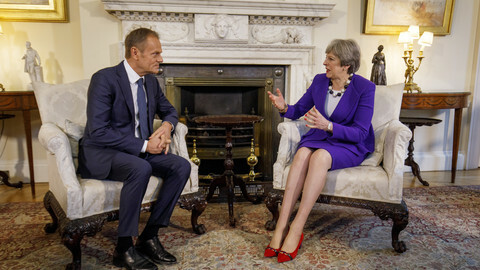 London says the period after Brexit should be "around two years", as prime minister Theresa May has said in a speech in Florence last September. 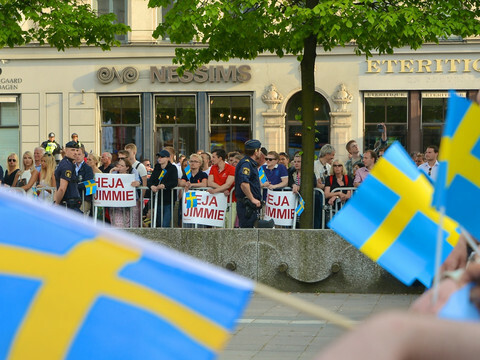 But it does not want to agree to the precise 21-month period proposed by the EU. 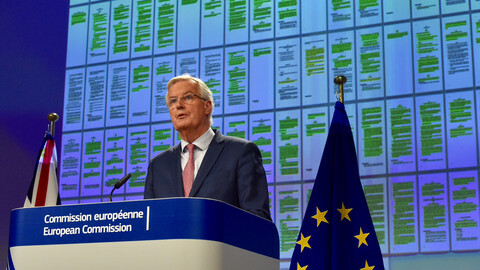 The EU has said it wants the transition period – during which the UK would need to continue to apply EU rules without having a say in them – to end on 31 December 2020. The EU chose the date because it coincides with the end of the EU's long-term budget cycle, to which the UK will still contribute. This would give 21 months for the UK and the EU to prepare an agreement on the future relationship, and make the necessary adjustments. However, the UK agrees that the period should be "around two years", but wants to negotiate with the EU on the proposed date. "The UK believes the [transition] period's duration should be determined simply by how long it will take to prepare and implement the new processes and new systems that will underpin the future partnership," the position paper says. "The UK agrees this points to a period of around two years, but wishes to discuss with the EU the assessment that supports its proposed end date," the text adds. 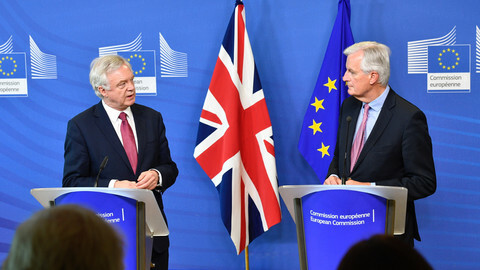 During discussions among EU diplomats, Germany and France have been reluctant to give a longer period to the UK, while other member states pushed for a more lenient approach. British officials insist however, that they do want to set an end date. 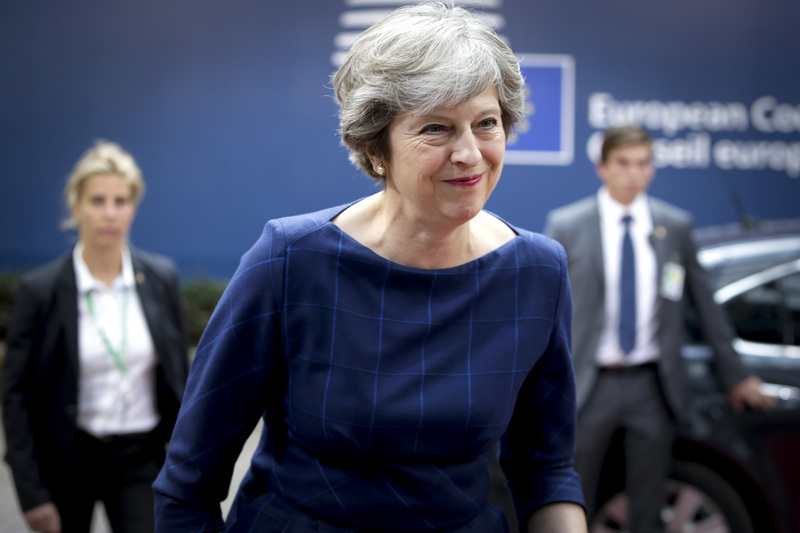 The UK paper was revealed in order to calm tensions with the government's pro-Brexit backbench MPs, who warned PM May against an open-ended transition period. 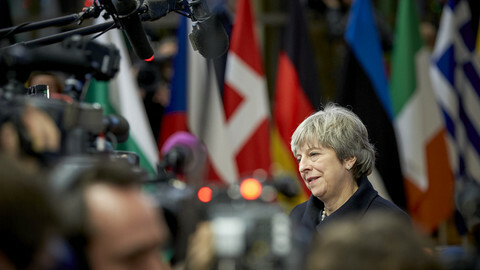 London wants to conclude talks on a transition period by the March EU summit, but that date is unlikely to be met as the UK's position paper challenges the EU's starting position on several points. The UK also seeks to check EU laws the UK is obliged to comply with during the transition. "The UK also wishes to discuss the means by which Union law will apply to the UK during the period," the position paper says. London also proposes setting up a joint committee to overcome conflicts that arise, particularly during the transition period, and that they are with "in good faith" by both sides. 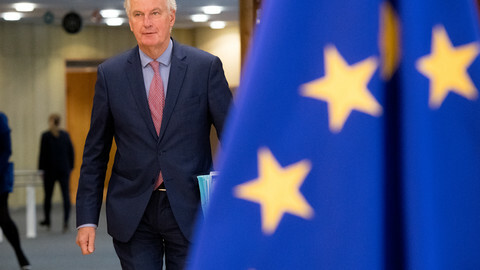 In an earlier versions of the EU's position paper, the EU commission proposed a sanction mechanism to curb the UK's access to parts of the bloc's internal market if the UK breached the transition agreement. The UK would also want to rewrite the fishing quotas that apply to its fleet under the EU's common fisheries policy. Even though the UK's position paper does not touch on it, British officials say the UK wants to have a separate set of rights for those EU citizens who arrive to Britain during the transition period. That is another key issue where the EU and UK are set on a collision course, as the bloc argues that citizens' rights agreed with the UK last December should apply until the end of transition deal. The UK also wants to retain the right to opt in to future aspects of justice and home affairs policies that they are already part to.